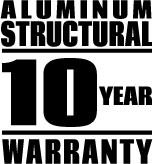 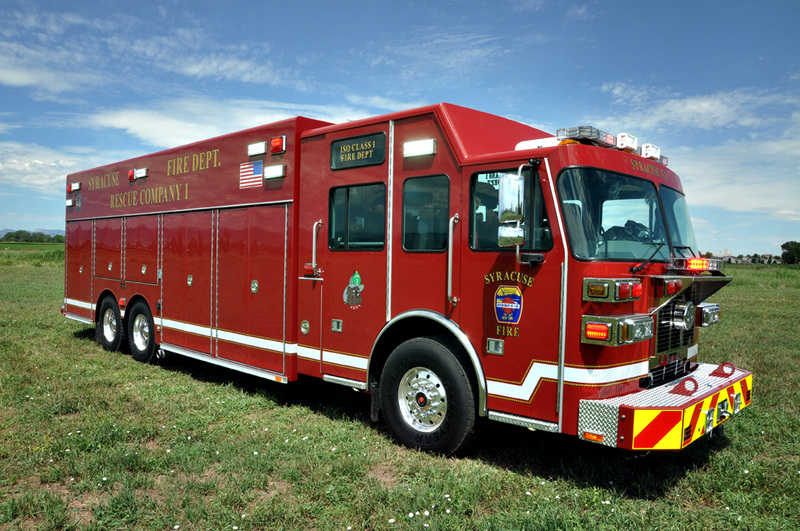 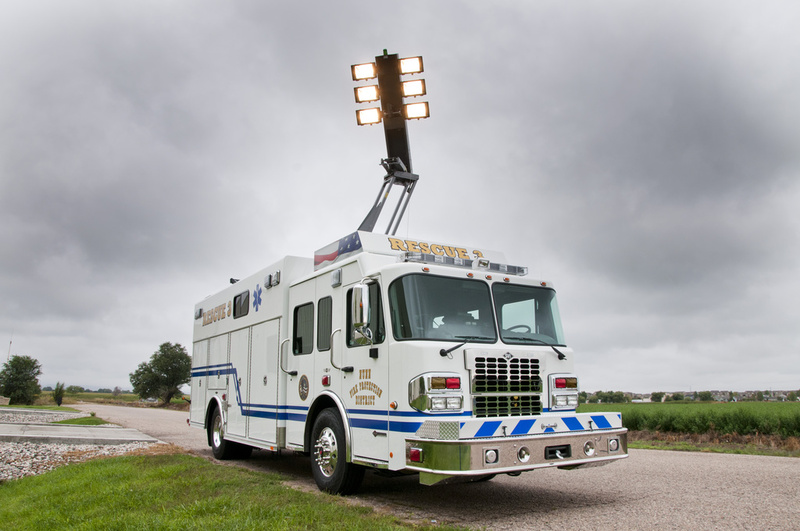 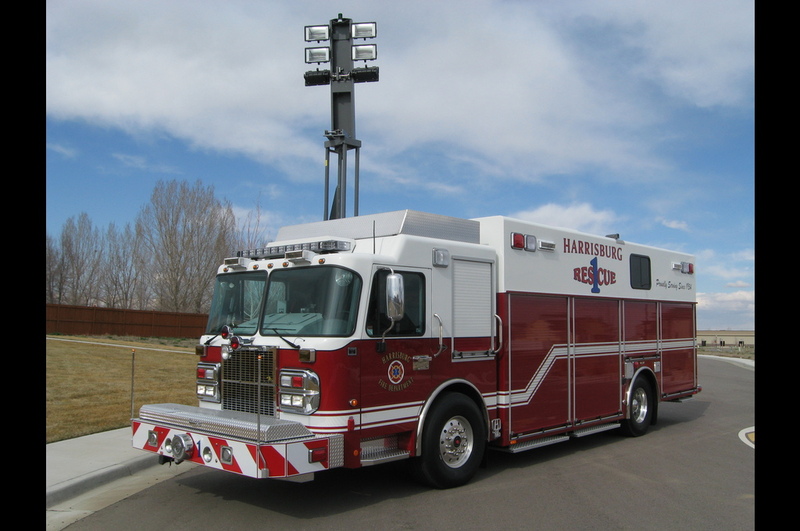 Walk-In Rescue bodies are built on medium-duty commercial or custom cab/chassis in body lengths from 12 to 26 feet. 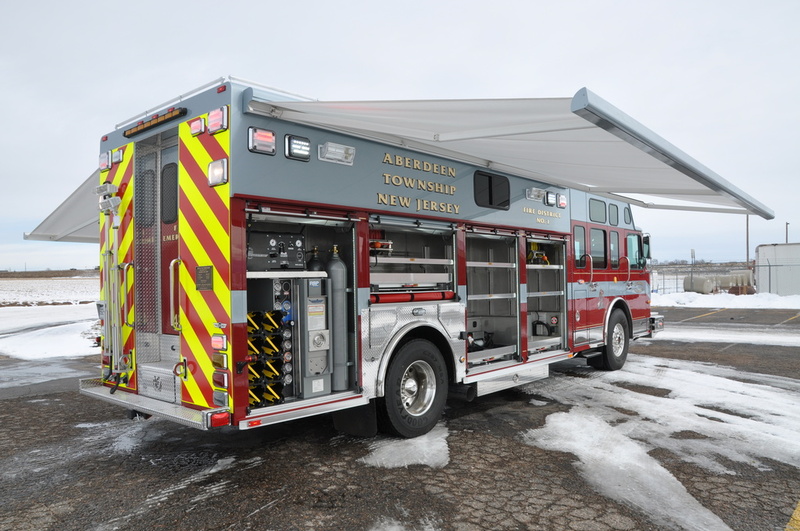 Bodies can be a combination front walk-in and rear walk-around with roof-top storage compartments, accessed by rear stairway or ladder, for even more storage or with one or two forward transverse compartments for even more versatility. 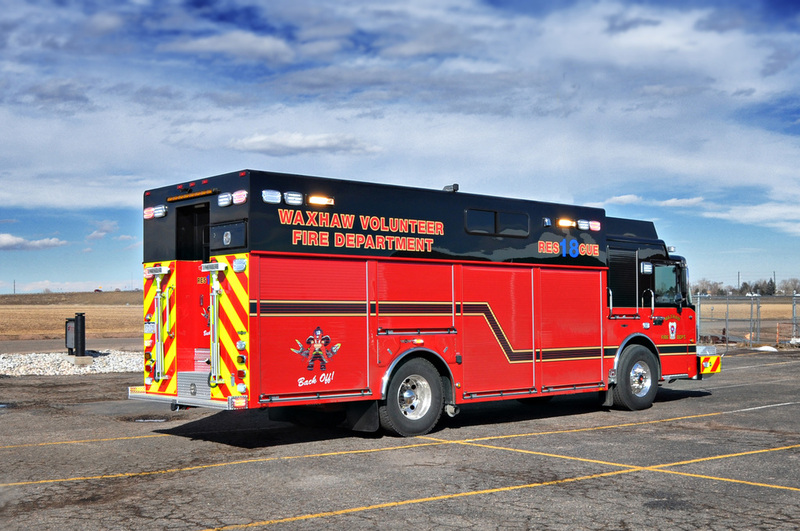 Add one or two slide-out Command walls for more interior floor space. 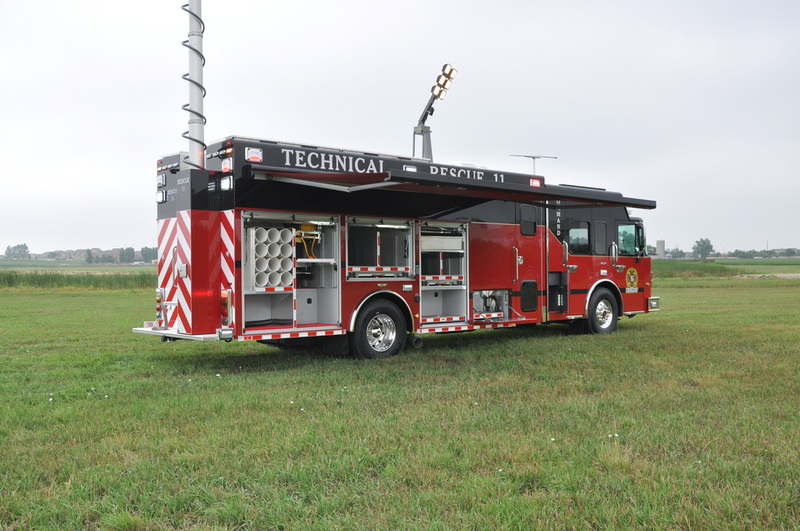 Many options are available including: winches, hinged or roll-up doors, adjustable shelving, trays and tool boards, PTO or hydraulic generators, electric cable reels, light towers, hydraulic rescue tool systems and tool mounting, cascade air systems and NFPA fill stations and air hose reels, awnings, PTO water pumps, and PTO tool air compressors. 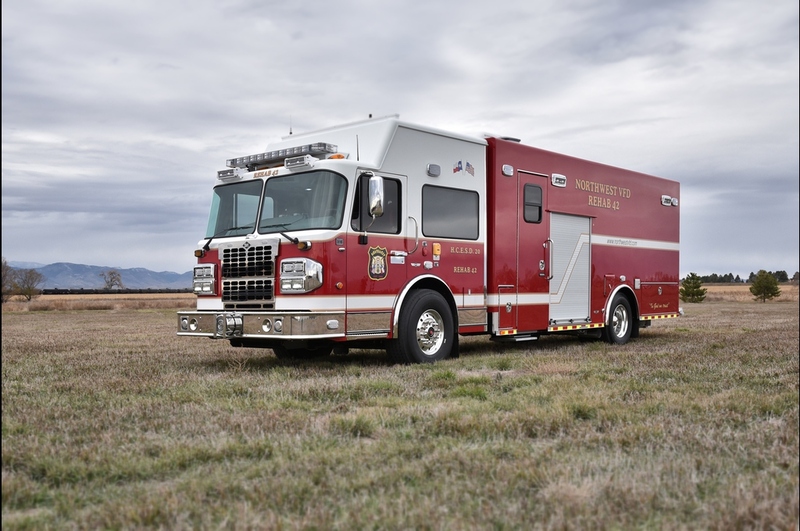 Many interior options are available, including: individual or bench crew seating, open deck areas with exterior windows, sit down type desk, full height and above exterior compartments, interior storage for hand tools, air packs, and more! 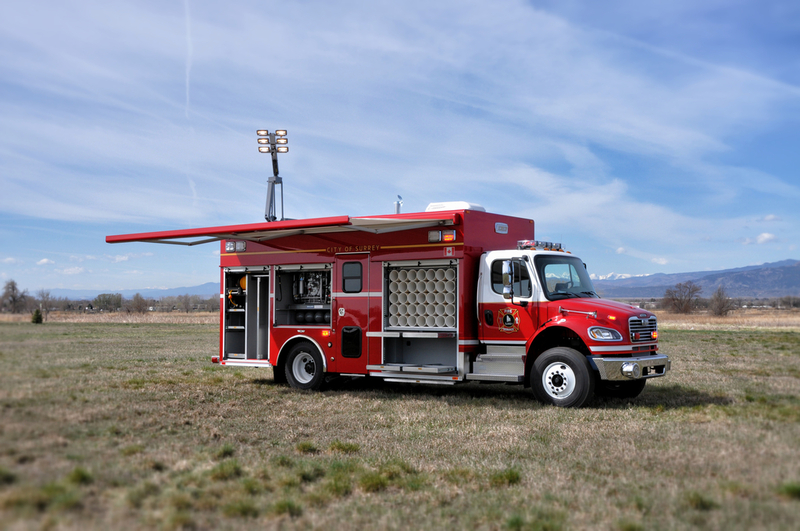 A mobile tool box with the ability to carry manpower and work in a climate-controlled interior. 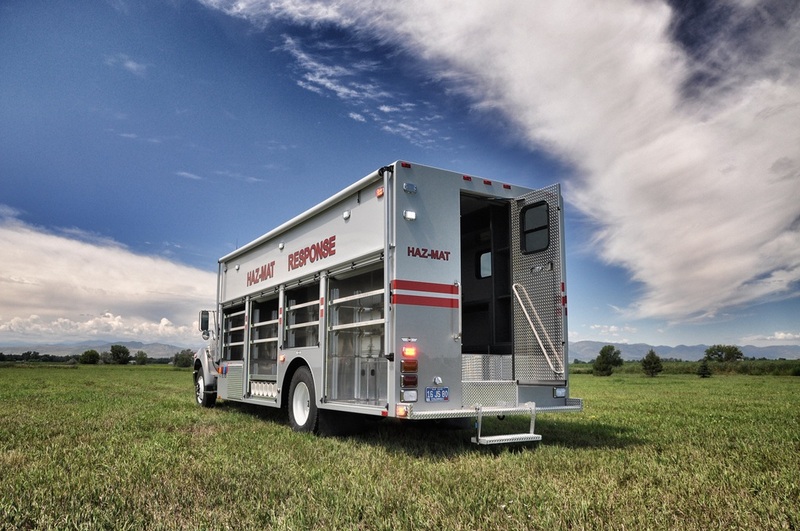 SVI offers limitless options to create your perfect Walk-in Rescue truck.